Although daily temperatures are still topping 90 degrees here in Nashville, this wonderful summer is winding down fast. Kids are back in school, and college campuses will soon be bustling again. For those of us who are not quite ready to declare summer over, this weekend (August 15-16) offers some good entertainment options. 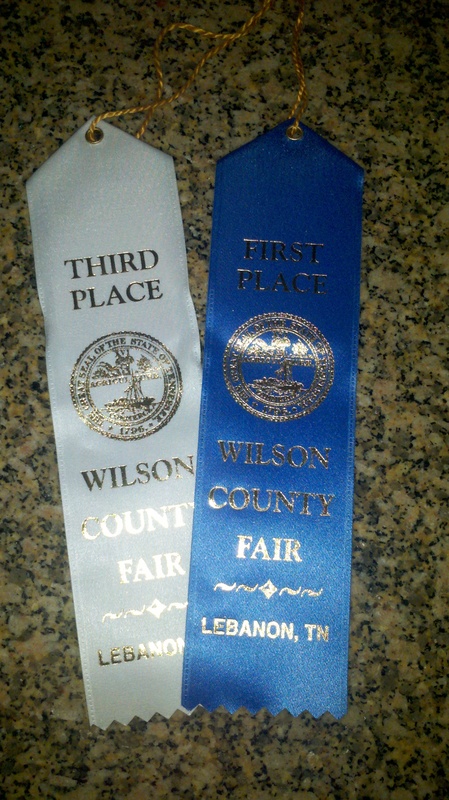 My homemade salsa won a blue ribbon in the Wilson County Fair! fact, in some important aspects (like attendance), it’s even bigger than the upcoming Tennessee State Fair. Whether you enjoy rides on the midway, or admiring the talents of local artisans and gardeners, or marveling at the variety of livestock and poultry – this is a county fair for you. The Wilson County Fair swings into full gear on Friday, August 14 and will continue through August 22 with a variety of activities and events each day. Gates open at 5pm on weeknights, at 10am on Saturdays, and at noon on Sundays. Tickets are $8 for adults, $6 for children aged 6-12. Children age 5 and under are admitted free. If you don’t mind staying at the fair until 9pm, there is also a unique opportunity on Saturdays to ride the Music City Star train round trip from Nashville to the fairgrounds for $21 adults/$16 children 6-12. Seeing all the lovely home canned goods at the fair may put you in the mood to do some preserving of your own. On Saturday afternoon (3-5pm) at the Nashville Farmers Market, you can sign up for a home canning “immersion workshop” to learn the basics of preserving fruits and vegetables. The class costs $45 – all supplies are provided, and you will go home with a couple of jars of canned goods. Sunday, then, is the day to put your new canning and preservation skills to work. Head back to the Nashville Farmers Market, or your favorite local produce stand, to pick up the ingredients you’ll need to make delicious and lovely jars to enjoy or share through the seasons ahead. I’m thinking that pickled peaches (or possibly habanero pickled peaches) will be my focus this weekend! Next PostIs VinoFile Membership a Good Deal?